Konjac sponges are increasing are one of the coolest new products on the market! They are a natural sponge that gently cleanse the skin, removing blackheads, dirt, oil & dead skin, leaving a fresh, clean and radiant glow. Retail them to your clients to make some extra cash when retailing to your client, or create a luxury treatment utilizing TWO konjac sponges, and then ‘give’ them to your client at the end of their service. There are so many ways to encourage your clients to use them! Ok cool, but what is konjac anyway? 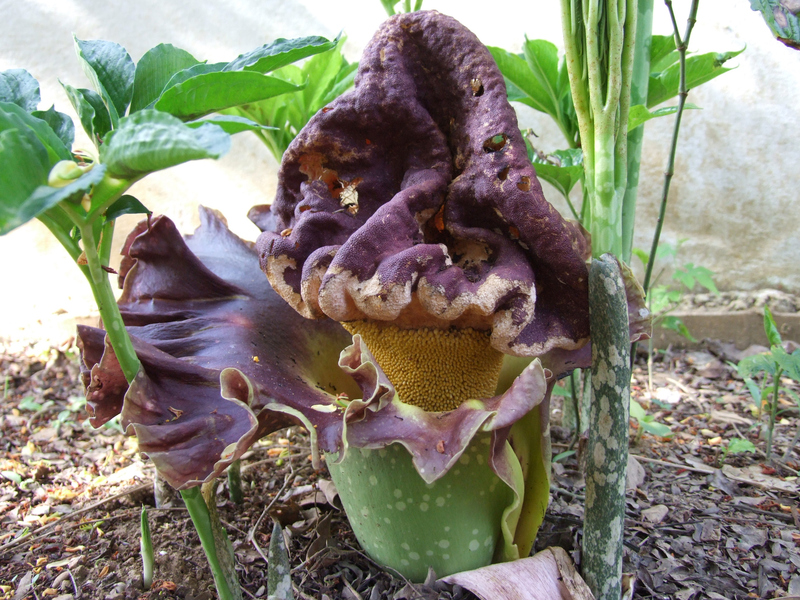 Konjac is a perennial plant (Amorphophallus konjac) that has been used for over 1500 years in traditional Japanese cooking, and is considered to be part of a healthy diet. It’s primary component is glucomannan, a water-soluble polysaccharide, which makes up 40% of the konjac root, or corm, of the plant. Due to konjac’s exceptional water holding properties, the corm is continually covered with water, and as a result, the fiber hardly comes into direct contact with the skin and will not scrape or scratch the skin, even with hard scrubbing. Konjac fiber was historically used for babies due to its gentle texture and its excellent cleansing ability. Since then, it has gained popularity and has been developed to be a facial and body cleansing sponge for all ages and all types of skin. How do you use konjac sponges? When dry konjac is very hard. To soften, rinse and soak in warm water until it becomes very soft and expands. The sponge will expand to approximately 1 1/2 times its original size when wet. In your first use it can take up to 15 minutes to fully expand, so be patient! Gently massage your face in a circular motion, taking care around any acne blemishes and around the eyes. You can also gently massage your face with long strokes, starting in the center and gently extending upwards and outwards. This helps to avoid sagging skin, and produces a lifting effect on the entire face. When finished, rinse the konjac sponge thoroughly in water, and gently press the water out of the sponge until it runs clear. Do NOT twist the sponge – this will break down the roots and damage the sponge. Dry the sponge thoroughly between uses, but don’t place it in direct sunlight or in a humid location! Alternatively, you can keep the sponge in a sealed container or zip-lock bag in the refrigerator between uses. To disinfect your sponge, you can soak it in hot (but not boiling!) water for 3 – 5 minutes. Do not use boiling water, as it may deform the sponge. After soaking the sponge, carefully drain off the water, press the sponge gently between your hands, and hang to dry. Use this method weekly, or as needed. Alternatively, you can sanitize a WET sponge in the microwave. Place your wet sponge in a bowl full of water for 1 minute – never microwave a dry or damp sponge! After the minute, carefully remove the bowl of water from the microwave and carefully drain. Leave the sponge for a few minutes while it cools off, and then gently press the sponge between your hands and hang to dry. The microwave method of sanitation is to be used only as a last result, as improper technique may damage the sponge. For best results, replace your konjac sponge every 4 – 6 weeks. *Every time your clients come in for their scheduled facial, this is an excellent time to remind them to discard their sponge and purchase another! We offer 3 styles of Konjac sponge by Dew Puff: Asian Clay, Bamboo Charcoal & Original. Asian Clay is suitable for dry, aging skin. Bamboo Charcoal is designed for blemish prone skin. Original is suitable for all skin types, It’s even gentle enough to use on babies!